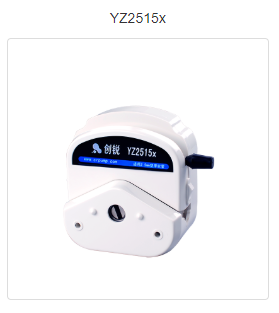 Liquid transfer peristaltic pumps with Foot switch controller-Peristaltic pump,dispensing peristaltic pump,programmable peristaltic pump manufacturer - Chuangrui precision pump Co., Ltd. The digital dispensing peristaltic dosing pump BT600FJ with simple design provides economical choice for you, that guarantees the quality and saves the cost at the same time.Two kinds of operating modes, transferring and dispensing, may achieve the transfer function as the basic type peristaltic pump, and also achieve the dispensing function as the dispensing type peristaltic pump. Needn’t purchase the time distributor in addition, reducing the accessories and saving the cost. Install external control module free to achieve start stop of external control, and coordinate with filling machine to work. Widely used in multichannel transfer fluid in batch. 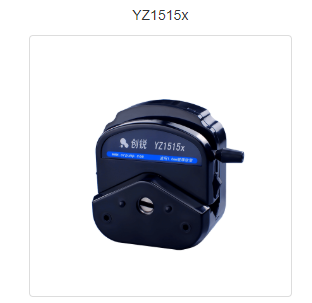 CR peristaltic pump head YZ1515x and YZ2515x with rigidity and structure are more excellent. Its strong capabilities of baring high temperature and erosion, especially the excellent performance in the aspects of strong chemical resistance such as resisting organic solvent, effectively reducing the damage rate of the pump heads and the customers' cost in maintaining and reparing. The pump head housing is available in white PESU and black PPS for a variety of applications. ​​​​​​1. FULL SPEED button is available to fill in & empty out the tubing. 2. Memory function available in case of power off and it will continue working once the power was restarted. 3. Long-range control is available through the DB15 interface of the drive: speed control start-stop control direction control. 5. Long life digital rotary knob easy to operate high control precision and ensure to transfer the high precision fluid. 6. With both-way large torque low power motor. It can be connected with several pump heads to meet different applications.